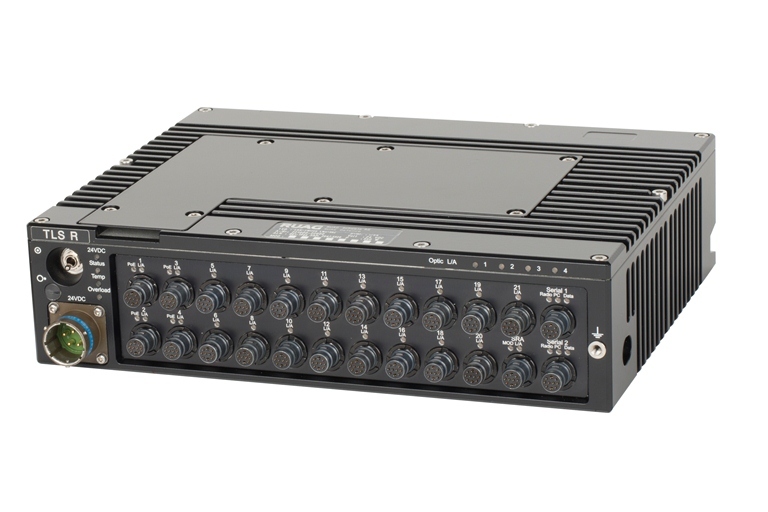 The Tactical LAN Switch R is an extremely compact and rugged military grade Fast Ethernet Switch with up to 24 ports. It supports Power over Ethernet (PoE) to supply the connected devices with power. A mix of fiber optic and twisted-pair ports is available and with its VLAN tagging functionality, it connects any combination of ports for secure and non-secure subnets. The managed switch offers a lot of advanced features usually found only in high-end switches.